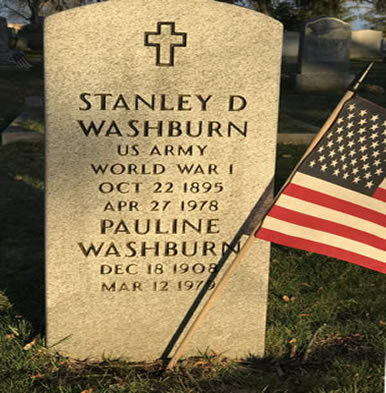 535 Hudson Street, Hackensack, New Jersey, reveals that Stanley D. Washburn served in the U.S. Army during World War I and died at the age of 82. The Evening Record October 5, 1918, but this confirms his connection to Hackensack by being buried within its borders since passing and forevermore. There is a Floyd C. Washburn listed on the Honor Roll list, but I do not know the relationship to Stanley D. Washburn if any at the present time.